What does a colour-blind person see? Is the red you see the same as the red I see? These are questions often asked by members of the public, yet the answers to such questions are not that straight forward and may depend on who you ask: An experimental psychologist or visual neuroscientist will tell you that colour is simply a construct of the eye/brain and depends on the structures and functions of the visual system of the beholder. The viewpoint of a philosopher will be governed by their respective approach, and an individual with ‘variant’ colour vision – such as colour blindness or synaesthesia – will offer an insightful but introspective view of their personal experience. Whatever the viewpoint, our event demonstrated that our perception of colour is indeed very private with talks from Dr Derek Brown and Joe Crutwell. Dr David Simmons was also due to talk at the event, but the weather kept him away. We hope to have him speak at a future event. The abstracts of their talks are given below. Colour subjectivisms, Why, what, and which one? Colour subjectivists deny that colours are objective properties “out there” in our world. Carrots don’t have orange in themselves, nor do avocados have green. 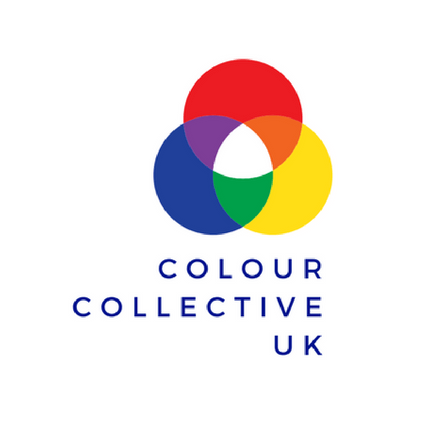 For colour subjectivists there is a robust private life of colour. Why hold such a view? I offer two reasons, one stemming from colour properties and another from variations in colour perception. Now suppose colours aren’t simply “out there”. What should we say about colour? Here are three options: (1) Relationalism: colours are relations between perceivers and things in the world (carrots are orange-to-me even if they aren’t orange simpliciter). (2) Mentalism: colours are properties of colour perceptual states (carrots aren’t orange but the perceptual states we enter into when looking at carrots are orange). (3) Eliminativism: nothing is coloured, not carrots, not perceptual states, not relations between the two – nothing. Which account should we endorse? This is tricky, though I sketch a method for deciding. I have a confession to make. I am red-green colour blind. I have been for the entirety of my life, but didn’t find out until I was around 10 years old, when I was shown a series of odd dot patterns at school. Ever since then, I‘ve been extremely interested in the details of this deficiency, both in my life experience and what I discovered through study. Can I see things other people can’t? How do I tell traffic lights apart? Do my clothes always clash? I’ll answer these questions and more as I delve into what it is like to live with a condition that is so often misunderstood, and show how colour blindness isn’t just a black and white issue. It is tempting to think that everyone experiences colours in the same way we do. Certainly there is a surprising level of agreement over the colours that most people like and dislike, although there is also evidence that this can be heavily influenced by culture and upbringing. But for synaesthetes letters, words and even voices can be coloured, whereas for some autistic individuals seeing certain colours can give rise to discomfort and pain. I shall explore the world of individual differences in colour perception using examples from my own and others’ research.